Website and promotional advertising for adult-themed Halloween party. Project included Eventbrite integration and AdWords management. Restaurant website with menu and event sections. 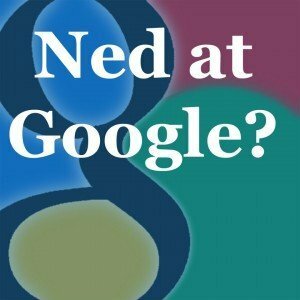 Social media account (Facebook, Google+, Twitter, Yelp) setup and management. Website for a dentistry practice with before/after photo galleries, patient forms and automated feeds from patient feedback service. Rental website with custom online reservation system, SEO’d for optimal discoverabilty, with extensive customer review integration. 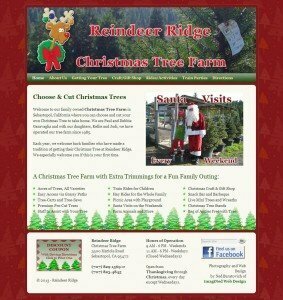 Website for a local Christmas tree farm, using stories and photography to make an inviting narrative. 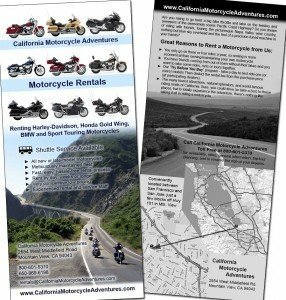 Rack Card Brochure for motorcycle rental agency, featuring local and regional location maps on the back. 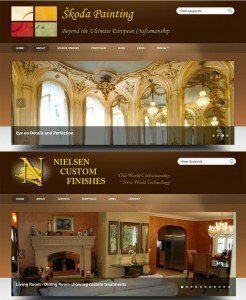 Two websites, built on the same WordPress theme to display the artisan portfolios of two faux painting craftsmen. A visually ornate website that fits the style of a colorful, multi-talented performer, includes photo galleries of her various characters and videos of her musical performances. 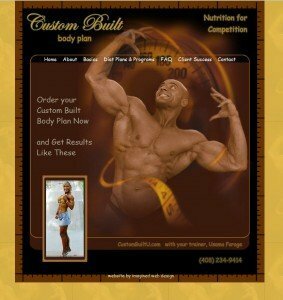 A simple HTML site for a personal trainer to competitive bodybuilders, selling coaching and diet programs via PayPal.